So you’ve made your way to New Orleans for Jazz Fest, been to the festival, had your crawfish bread and strawberry lemonade, danced in the Jazz Tent and are flowing back out onto the streets surrounding the fairgrounds when you realize, the night is young. You’ve seen more music today than you have seen in the last year all together, and there’s still more to come. Well, soak it in y’all because, yes, there is indeed much, much more. The now notorious late-night Jazz Fest shows begin once the sun goes down and in many cases, they start just hours before the sun comes up the next day. From shows at the Maple Leaf to the Music Box Village to Tipitina’s, there is (quite literally) something for everyone after the festival gates close. Here’s our late night guide to get you started. Kick off Jazz Fest in style with this set from Johnny Vidacovich at the Maple Leaf Bar at 10 p.m. Joining him will be Mr. George Porter Jr. of The Meters and guitarist Vernon Reid from Living Colour for a night of excellent music and the first of many super jams you are bound to see over the next week. Riding on that first Friday festival high, we recommend a dose of singer and saxophonist Karl Denson’s Tiny Universe at Tipitina’s at 9 p.m. His energy and spirit are contagious while his songwriting serves a larger message of fellowship—across generations, genders, religions, and cultures. Denson also serves as the touring saxophonist with The Rolling Stones while continuing to hold down his role as a founding member of the seminal funk band, Greyboy Allstars. Boyfriend brings back her Jazz Fest show at One Eyed Jacks with the help of some of the members of fellow New Orleans local legends, The Revivalists. All donning curlers and robes, last year’s performance was incomparable, and this year should be no different. And just so you know, this is one of those late-night shows that starts at 1a.m., so plan accordingly. 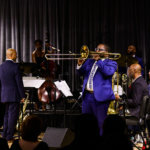 Presented by Winter Circle Productions, THE WORD featuring John Medeski, Robert Randolph, Luther Dickinson, Cody Dickinson, and special guests G. Love & Southern Avenue takes place at the Joy Theater at 9 p.m. The Maple Leaf will make many appearances in your Jazz Fest schedule (as it should), and tonight we recommend making your first return. 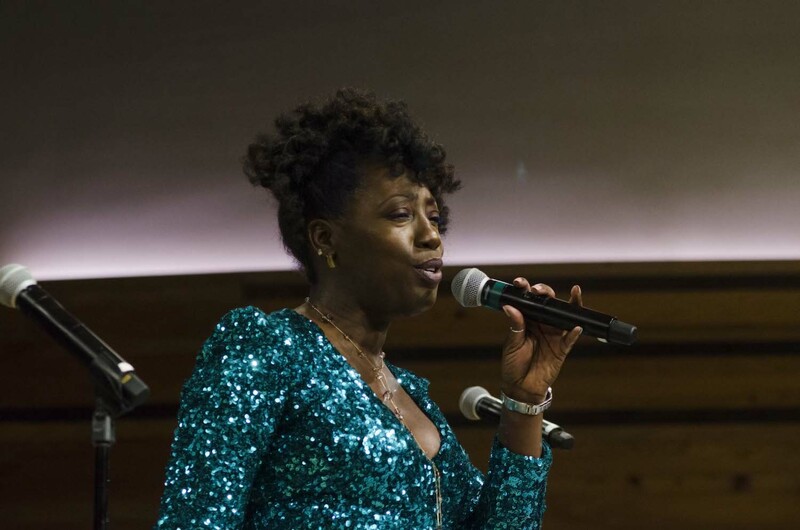 Erica Falls takes the stage at 8 p.m. and according to living legend Cyril Neville, “If red beans and rice could sing, they would sound like Erica Falls.” Stick around for the late night show at 10 p.m. featuring George Porter Jr., Terrence Houston, and Mike Lemmler. 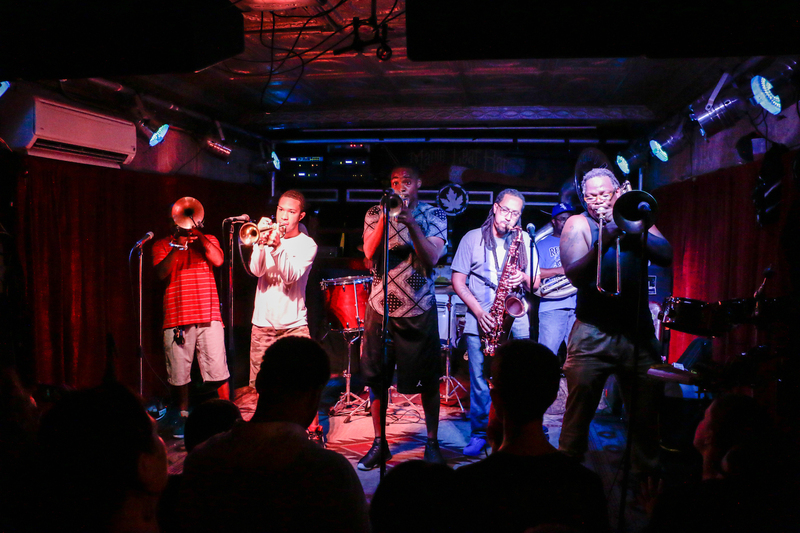 As far as we’re concerned, there is only one place to be on Jazz Fest Tuesday and that is—you guessed it—back at the Maple Leaf Bar watching Rebirth Brass Band do what they do. The band spends a large portion of their year touring and playing around the country (and the world) and yet, they make it back every Tuesday to play their beloved hometown gig. Catch the show at 11 p.m. 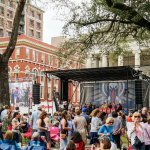 Spend your Wednesday night visiting another part of town for Wednesday at the Square in Lafayette Park in downtown New Orleans. 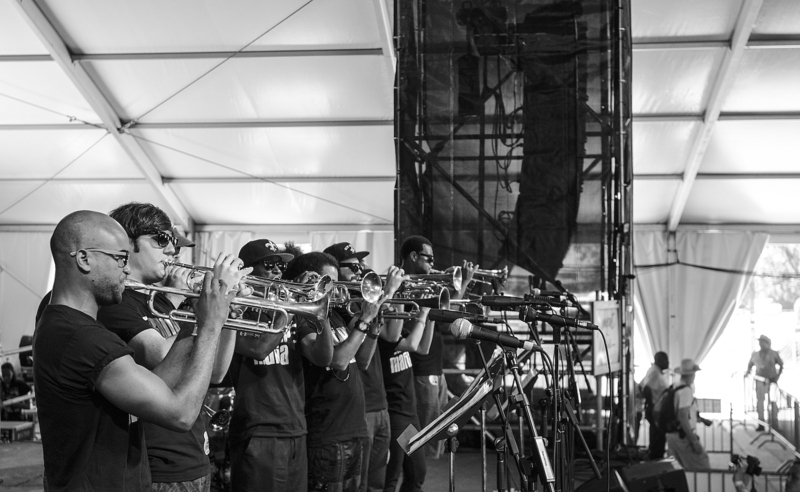 This free weekly concert series takes place through the spring and Trumpet Mafia will rock your ears and your world during the May 1 installment. 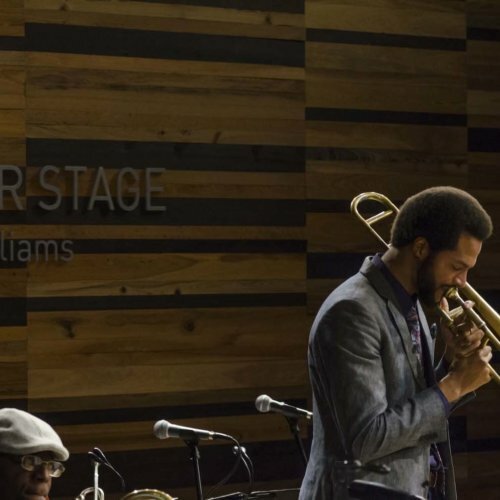 Featuring between 10 and 20 trumpet players on stage at one time, the pure magnitude of what is happening will shake you to your core in the most Jazz Fest-y way possible. Enjoy food and drink vendors, the music, and more beginning at 5 p.m.
Tonight, Lettuce takes over the Joy Theater with RAGE!FEST. The show begins at 10 p.m. and features Lettuce, hometown favorites The Soul Rebels, and the legendary Oteil Burbridge. 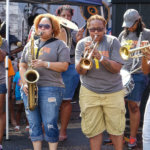 During Jazz Fest, the Music Box Village in the Bywater welcomes world-class improvisers and renowned artists into the mix. 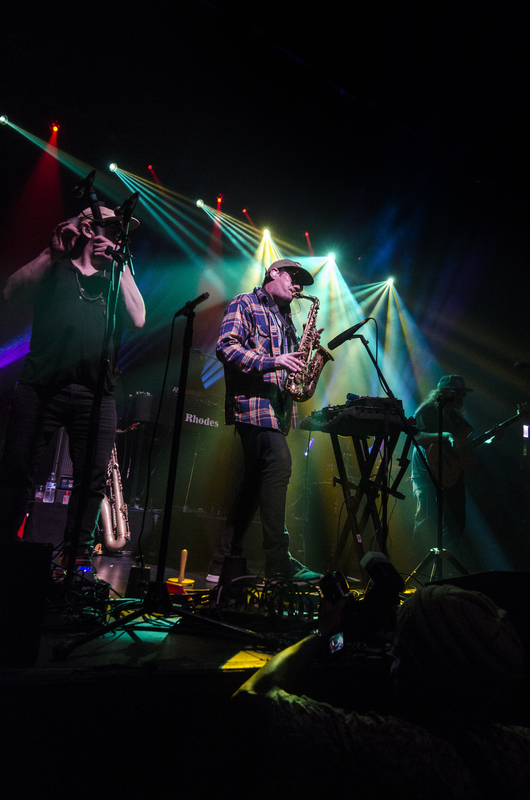 This year, Ghost-Note (founded by Snarky Puppy alum Nate Werthy and Sput Searight) returns with a brand-new show called Junk Yard Funk Jam and will feature a host of next-level musicians. The show begins at 7p.m. If you’re looking for something a little bit more out of the box, Turkuaz at Tipitina’s (try saying that five times fast) might be the perfect show for you. The Brooklyn-based group of nine ignites an explosion of energy punctuated by neon hues, deft musicality, and show-stopping singalongs. The group has managed to create quite a following for themselves here in New Orleans, and, just so there’s no confusion, this is another late late night show beginning at 2 a.m. This is it – the home stretch! You’ve somehow made it through and your very last shows are upon you before you crawl into bed where you’ll possibly stay for the next few days reminiscing on all the great late-night shows you managed to fit into your schedule. 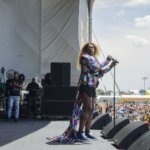 But how will you send off the marathon that is the 2019 Jazz Fest season? 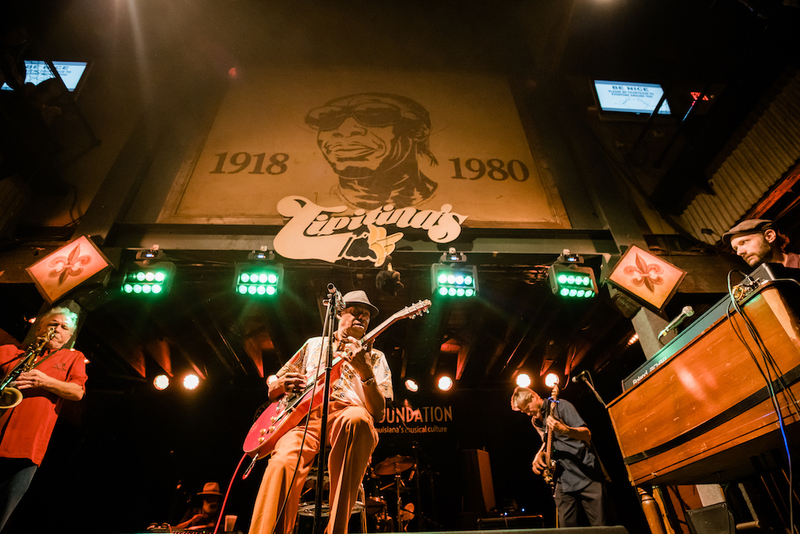 You can hit Maple Leaf one last time for the Joe Krown Trio featuring Walter “Wolfman” Washington at 8 p.m. Or, you can head to Tipitina’s for Dumpstaphunk at 9 p.m. followed by Greyboy Allstars at 2 a.m. More, you say? Head down to One Eyed Jacks for an Evening with Rising Appalachia beginning at 9 p.m. No matter what you choose and what night you choose to do it, don’t miss out on what many New Orleanians call the best time of the year.